Mainpuri : In an incident more than shameful , 2 labourers were beaten to death by UP Police over refusal to pay Rs 100 as bribe. The news comes from Mainpuri district of Uttar Pradesh. The postmortem report of the victims identified as Dileep Yadav and Pankaj Yadav confirms that they died due to injuries sustained by them during assault done by cops. Police, however, claimed that the men died while making an escape via nearby pond. 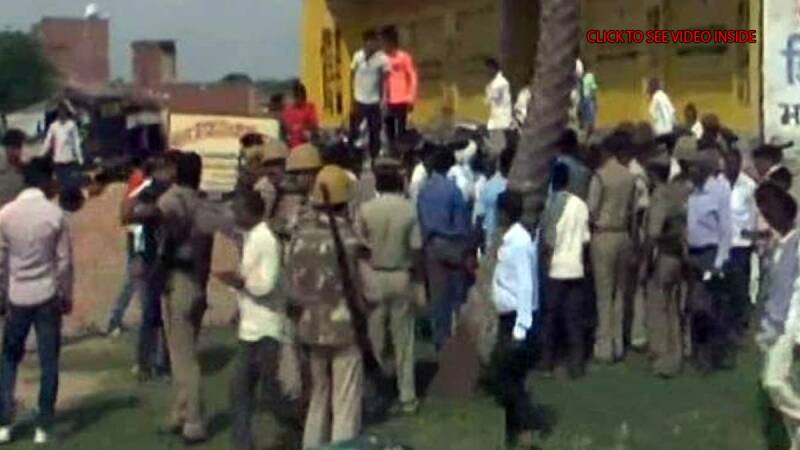 # Uttar Pradesh Police has allegedly beaten two men to death after they refused to bribe them with Rs 100 in Mainpuri district. # Postmortem reports claim that the victims died due to injuries sustained by them during the assault. # Police claims the men died after they tried to make an escape via a nearby pond. # Devranjan Verma, SP of Mainpuri district, has assured that strict action will be taken against the culprits and an FIR has already been registered. # Three policemen and two guards have been booked by police so far.